Published by The Onyx Path. Released April 2015. Copy purchased by reviewer. The Wolf Must Hunt. 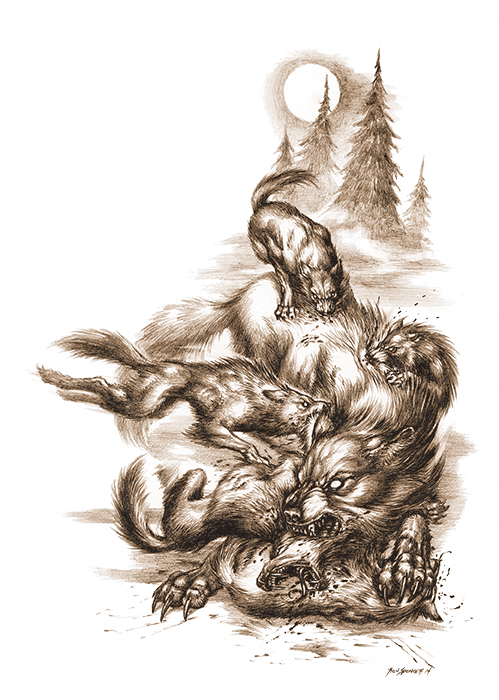 This is the fundamental concept The Onyx Path's Second Edition of Werewolf: The Forsaken rests its claws upon, and represents the biggest, predatory lunge forward the new corebook has to make. 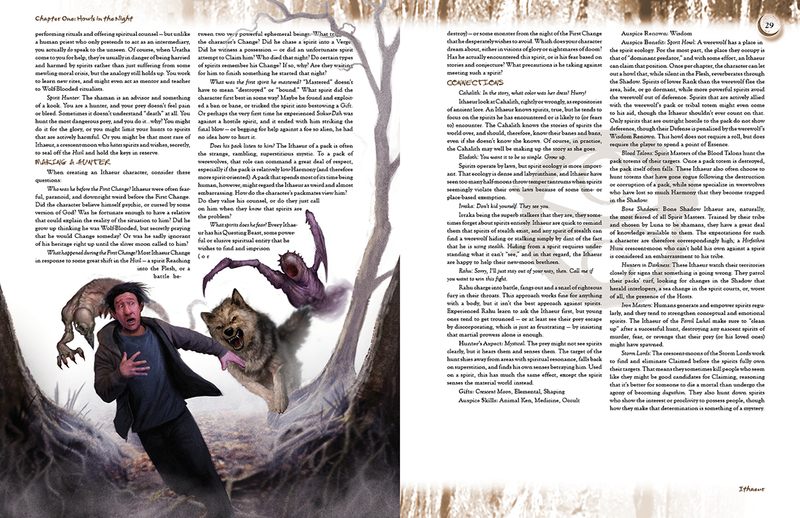 Adding layers of extra complication of the New World of Darkness rules (which could already be a bit unwieldy in the previous edition), and a couple clumsy thematic decisions, raised my hackles as a Storyteller and die-hard Forsaken fan. However, shifting onto the Uratha as hunters, as apex predators before anything else, represents a much-needed clarity of direction for the line. 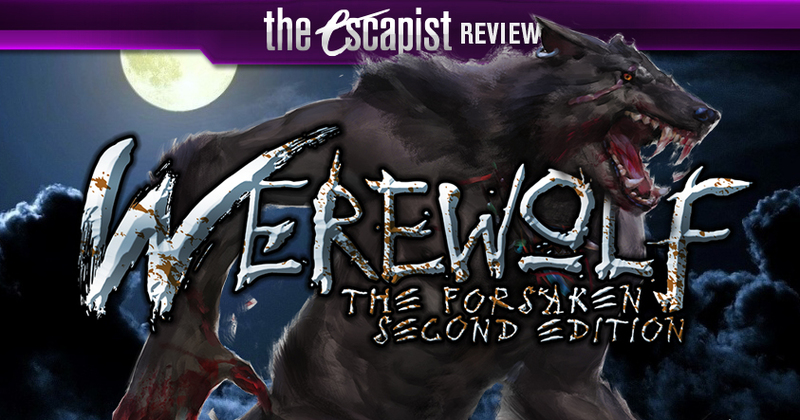 One of the biggest problems I ran into with the first edition of Forsaken was that werewolves didn't do "wolfy" things often enough. There was plenty of negotiating with or battling spirits, scrapping for territory, and causing mass property damage. But some of the coolest scenes I participated in or ran were just the group chasing a spirit through the Shadow world to eat it and devour its spiritual essence. Not to fight, or investigate, or entreat. Just to Hunt. These scenes were disappointingly far between, repetitive, and often resolved without much description or fanfare. They were neat little asides, only loosely woven into the "real" story. 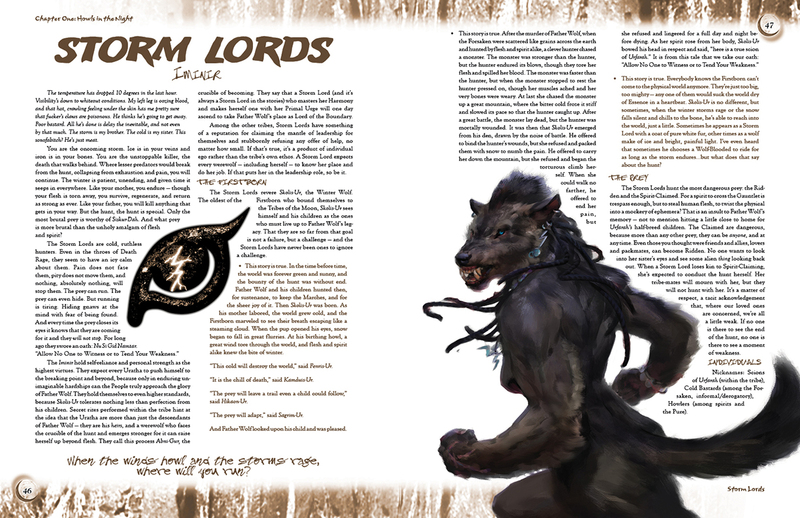 Second Edition has made hunts like this, whether the prey be spirit, human, or something worse, a sacred rite and the core of what werewolves do. My group's pack of wolves feels more like... a pack of wolves, with each challenge framed as some form of a hunt. They're not just going after the possessed cult leader who is creating tidal waves of discord in the spirit world. They're hunting him down. They're following his trail of social influence and organizational connections to determine where he'll be and when. They're running him to ground by cutting the fuel line in his car and jamming his cell phone. They're pursuing him through underground sewer tunnels until he's backed into a corner. Claiming the prey is the culmination of a chase that is equal parts primal and spiritual. 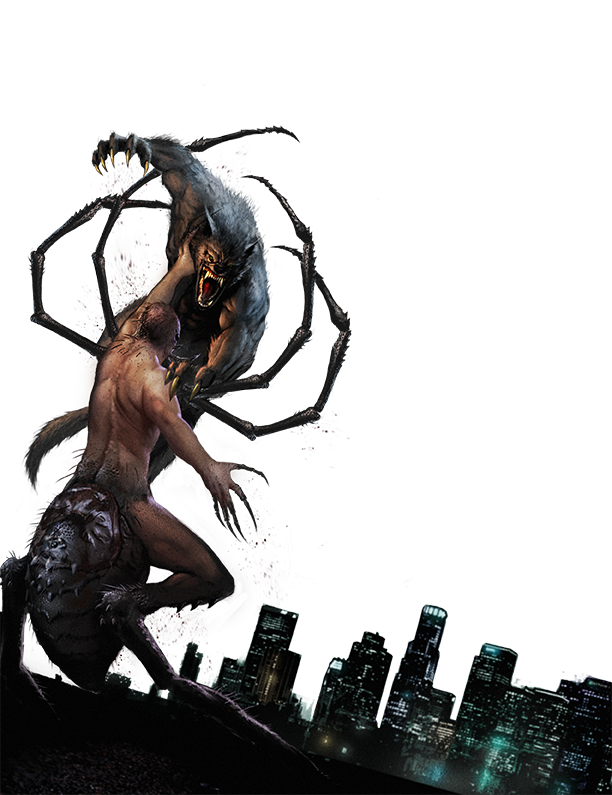 New elements have been baked into the core mechanics to enforce this, such as altering the Uratha's iconic five forms to each have a clear role in the hunt and bonuses to match: human (Hishu) form for blending in among the urban herd, near-human (Dalu) for frightening away those who might protect your quarry, wolf (Urhan) for chasing and tracking, near-wolf (Urshul) for nipping at the heels and weakening, and wolf-man (Gauru) for closing in to kill. This gives each form a much more practical and desirable niche than first ed, and I've seen fewer sessions where the whole pack just stays in Hishu most of the time, swapping to Gauru or Urshul for all combat situations. 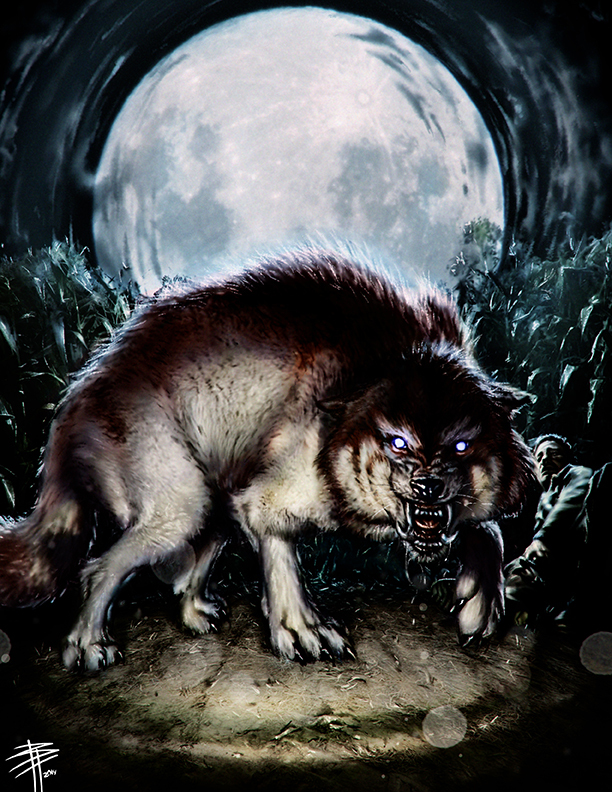 The hunt progresses in stages, with the pack favoring a different form for each one. 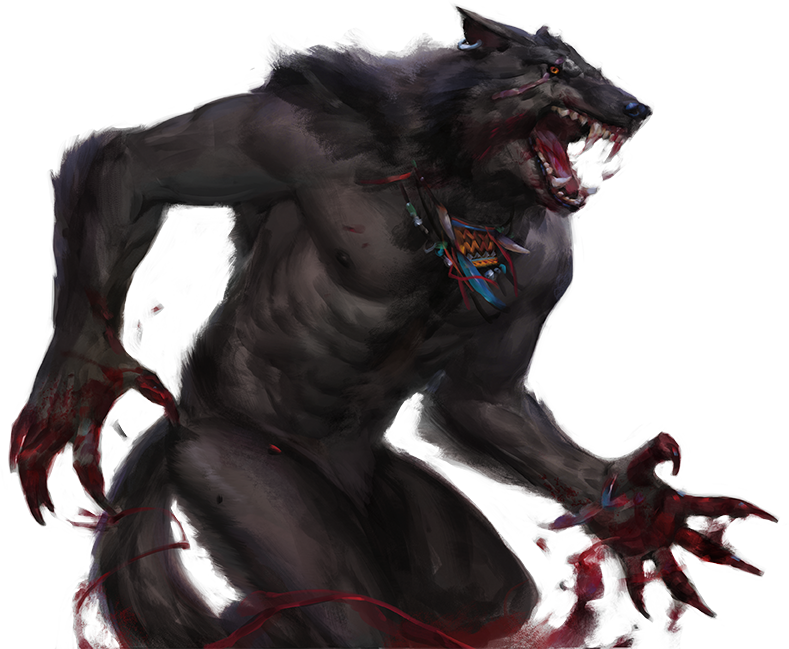 Character creation is almost a perfect mirror of the NWoD games that came before it: Players assign dots to their werewolf in attributes (Strength, Presence), skills (Drive, Brawl, Streetwise), and Merits (fighting styles, social connections-everything that would fall under a Feat in classic D&D). Dots correspond to d10s, with most dice pools being a combination of your skill dots and attribute dots added together (Dexterity + Firearms to shoot a gun, Manipulation + Subterfuge to lie through your teeth). The number of dice that come up an 8 or higher count as a "success", adding to the total needed for a given task. It's pretty stock stuff that still flows as well as ever once the dice pools are determined, and the book does a good job of walking you through it. The biggest deviation here is that werewolves no longer have a Virtue and Vice as in 1st Ed. Instead, the points of reference that tug on their lupine souls are called Blood (the primal, instinct-driven beast side) and Bone (the person they are underneath the walking engine of carnage and terror).